This book brings to attention the history of places that have traditionally remained under-the-radar in discussions of war and the environment, through site-based studies of five training areas in southwest England and Wales: Salisbury Plain, Lulworth, Dartmoor, Sennybridge and Castlemartin. At these sites, the big events of the twentieth century are written into landscapes that absorb their impact and reflect change in intriguing ways. Here, however, environment is more than a canvas on which historical forces play out; it has an agency of its own, as the depiction of the surprising nature and robust habitats of the training areas recognises. 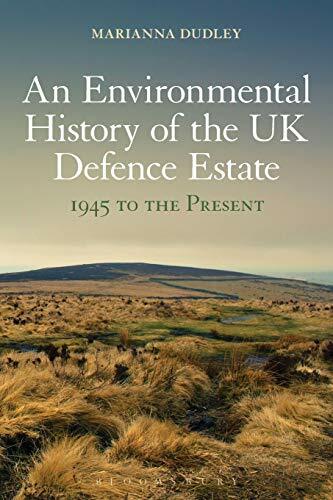 An Environmental History of the UK Defence Estate, 1945 to the Present critically examines the gradual ‘greening' of the MoD as it developed policies of military environmentalism. It includes the histories of the ghost-villages created by forced evictions, and charts the rise and fall of anti-military protest movements. It depicts heated confrontations, mass trespasses, and demands for public access alongside conservation work and training activities, situating the human histories of these sites within their environmental history, and taking the reader behind the barbed wire in the first study of its kind. A history of the military use of the landscape and the rise of military environmentalism through the twentieth century.